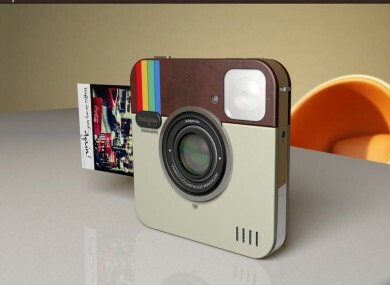 EVER WISHED YOUR Instagram app was a real digital camera that could print photos on the spot? Well your wish has been granted, because ADR Studio has come up with a camera that enables you to take photos using Instagram filters – and then print them right away. Instagram - which was recently bought by Facebook for $1 billion – is a hugely popular app that is available on iPhones and Android smartphones. According to ADR, the aim of its Instagram Socialmatic Project was simple: to pick the Instagram App icon and try to make a real camera. So you can take a shot with the camera, change the filter to whichever one you choose, and then print it. There is even a space at the bottom – like on a Polaroid photo – where you can write a note or comment. There is one catch: the camera is not for sale – at least not yet. The prototype has been built but ADR Studio are crowdfunding the camera and have a Socialmatic link on their site through which people can donate. What do you think of the Instagram camera? Email “What if Instagram was a real camera? It is now...”. Feedback on “What if Instagram was a real camera? It is now...”.